Ever since mankind started fighting nature and each other for supremacy with weapons, men have devised armor to protect against injury. Earliest personal armor are made of bone and leather and even bark, which later evolved into metal armor and shields. 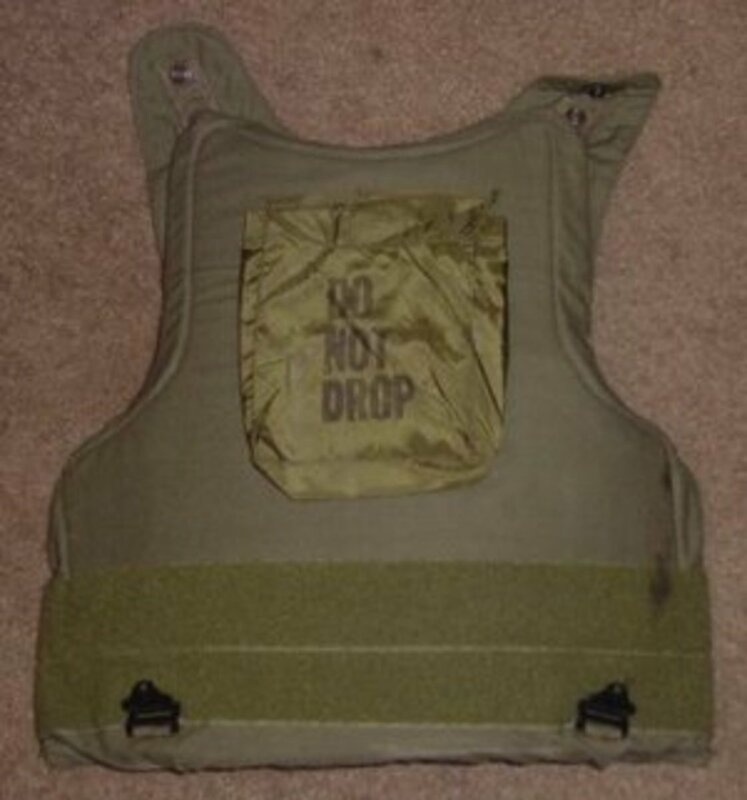 Modern weapons such as guns have added additional incentives to improve upon modern personal armor, which lead to modern tactical vests featuring kevlar fibers and other advances. This primer goes into a short history of personal armor in the modern era, which generally means development of the first "bulletproof vest" in the 1920s, and how it evolved into the modern kevlar armor. We will also go into how the modern armors are rated for their level of protection. But first, dispelling some personal armor myths. Those who play a lot of shooter games will often pick up some personal armor myths, which we will dispel here. No armor offers 100% protection against weapon fire. Most armor is merely bullet resistant, in that the bullet will hurt you (it'd be like being hit with a baseball bat, some said), which will give you a very bad bruise, but you'll be alive, and possibly firing back to defend yourself thus giving you the chance to survive a situation that you may not have survived otherwise. Personal armor does NOT prevent injury. Personal armor only adds to your chances of surviving such an injury by lessening its effects. No armor offers 100% head to toe protection (except in fiction, like the armored suits in Crysis) You have to choose between the weight of the armor (which affects your mobility and ease of use) vs. the level of protection you need to face the threat. Military personnel need more protection than civilians or law enforcement (generally speaking). There are accessories you can add, like elbow guards and shin guards to offer a bit more protection for other areas, but in general body armor is torso only, and maybe the helmet. Armor in general are designed to resist regular "ball" bullets (and hollow-points). Armor-piercing bullets are specifically designed to defeat body armor. Furthermore, ballistic armor will protect you from gunfire and slashing knife attacks, but will NOT offer much protection against thrusting / stabbing attacks (unless the armor is specifically designed against that threat.). It may offer some protection against blunt force trauma. Concealable vests generally are limited to Protection Level IIA and no more. External vests on the other hand, can offer level III or level IV protection with enhanced coverage such as shoulder pads, elbow pads, shin and thin pads, plus groin pads. However, all that adds weight and decreases mobility, heat tolerance, and endurance. These definitions are defined by the US National Institute of Justice, with input from the US Department of Defense. Other military or law enforcement agencies may have their own definitions or standards which may differ from these in minor details. Level IIA is now the recommended minimum for any one who wants to get one. Level II is recommended for law enforcement plain-clothes or daily patrol. Level IIIA and Level III is for military, paramilitary, and heavy law enforcement use, such as infantry and SWAT team. Typical level III vest is about 20 pounds. Level IV is military only, being rifle and armor-piercing resistant. Expect it to weigh 25-35 pounds. Level V currently does not exist officially, though some personal armor companies claim to have armor of this level. Armor will degrade after hits, so most ratings here are for single hit only. 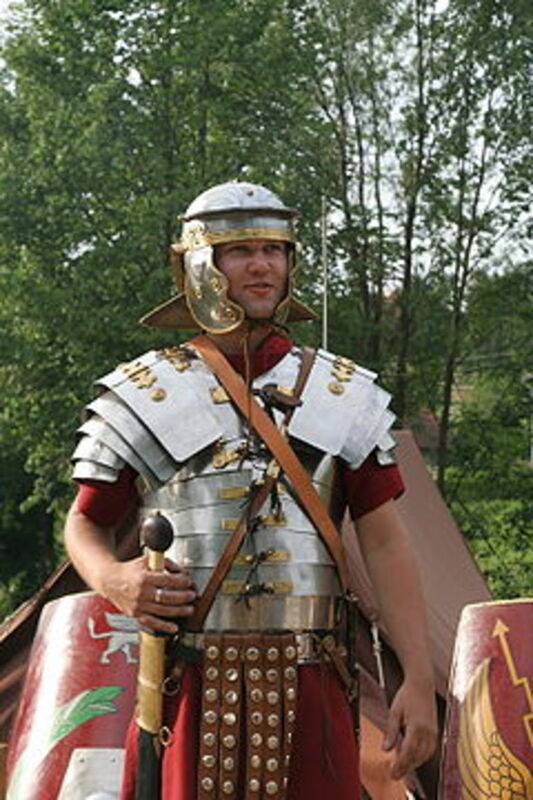 Modern personal armor that are produced in a large scale can be traced in lineage all the way back to Roman times, to the "lorica segmentata", which is made of overlapping segments of metal. They are relatively easy to manufacture (no large sheets of metal is required). However, they are labor intensive (require a lot of pieces and not easy to assemble) and is believed only to be used by Roman Legionnaires, the primary combat troops. After the fall of the Roman Empire and the dark ages, armor technology backpedaled for a couple centuries until the metalsmiths figured out how to create larger pieces of steel by the 15th to 16th century, which lead to the armored knights of the medieval era. 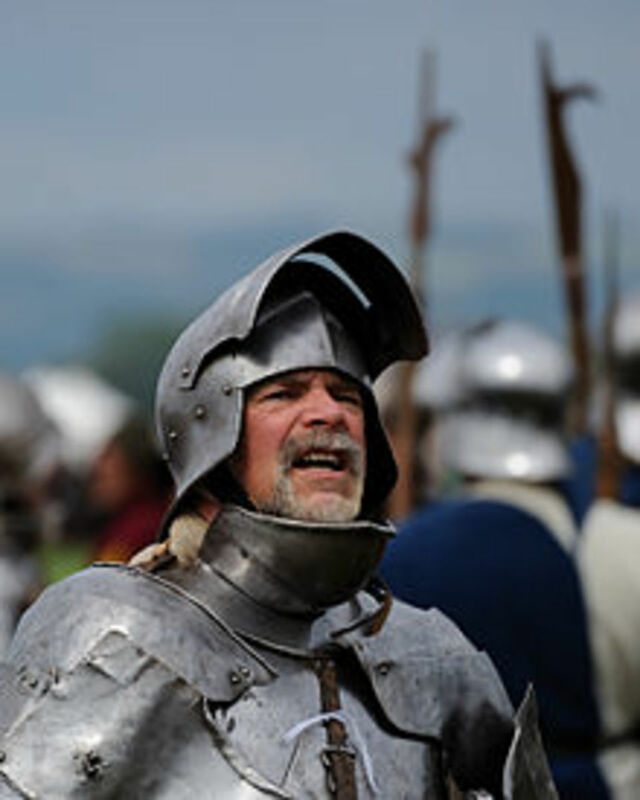 These steel suits with curved plates and cuirasses are stronger. When backed up by thick cotton and wool clothing, the armor also protects against blunt trauma. Unfortunately, this sort of armor is EXTREMELY expensive, and only the richest (those owning castles) can afford them and the time to be trained for it. So these faded from the battlefield quickly. During the discovery and conquest era after the Renaissance, when the European nations went out to colonize the other continents and fight the natives, they generally do not need much armor as the natives are of a lower technology level. However, as times went by, the more organized natives, such as Kingdom of Korea in mid 19th century created ballistic armor out of a dozen layers of cotton cloth and fielded it against Western armies. There was some historical notes that even during the American Revolutionary War some companies offered armored vests that will stop musket and pistol fire. However, such vests must be purchased by individual soldiers, who then runs the risk of being called a coward by fellow soldiers. Thus, they never were very popular. Polish historian talks about Father Casimir Zeglen and his invention. in Polish with English subtitle. The first "modern" ballistic armor specifically designed to resist firearms was probably the Korean armor discussed above. In fact, history says one such armor was captured by US Forces in 1871 and brought back to the US. 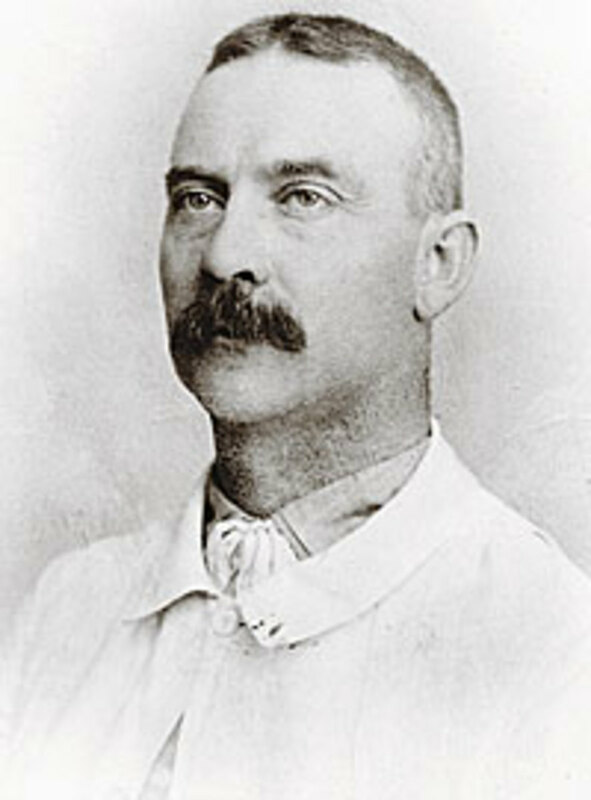 Dr. George Emery Goodfellow in the US, who had observed that folded silk hankerchief and clothing slowed down a bullet when he treated gunshot victims, started to create designs for ballistic armor made of multiple layers. His design may have influenced Casimir Zeglen, who was spurred on by the murder of Carter Harrison Sr., then mayor of Chicago, gunned down in his office by gangsters in 1893. 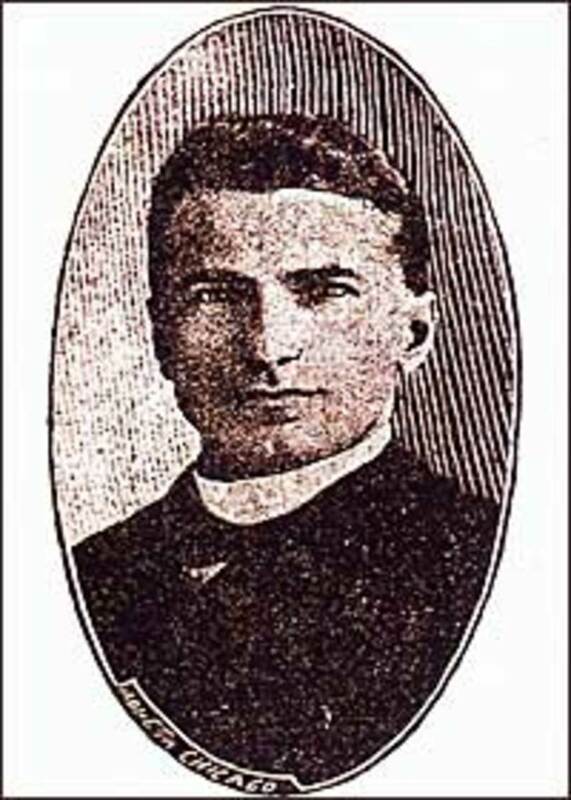 Casimir Zeglen, father of first "bulletproof vest"
Casimir Zeglen was a priest in St. Stanislaw Church of Chicago, and he dedicated his life to saving lives, both in body and spirit. In his early 20's, dismayed with the death he witnessed, he started to experiment with variety of materials over the next 15 years. Murder of Chicago mayor in 1893 spurred him to step up his efforts, but his results were not favorable, as they are invariably heavy and inflexible. By 1897, Father Zeglen have finally decided on silk as the best material possible, and have produced some prototypes, with weaving by hand. However, he soon realized that manually produced fabric is subject to imperfections, and such imperfections can allow a bullet to go through. In fact, one did so during a test. Zeglen went to look for a fabric weaving machine that can produce the quality he needed. However, no such loom existed in the US, and someone suggested he go to Europe. Father Zeglen went to Europe, where he met Jan Szczepanik, a Polish inventor. Jan Szczepanik, a prolific inventor, sometimes known as "The Polish Edison", was credited for having invented the first ballistic armor. King Alfonso XIII of Spain had armored his chariot with that armor. When King Alfonso returned from his wedding ceremony, his and his new bride was attacked by a bomb thrown by an anarchist. Many horses and surrounding bystanders were killed, but King Alfonso XIII and wife was unharmed. Father Zeglen met with Szczepanik, who has several inventions in textile industry, in 1898, and they collaborated in creating the first machine-produced bulletproof vest, with Szczepanik inventing a special loom for making this special fabric. The first machine-produced fabric was finished in Fall of 1898, and Zeglen returned to the US with the new loom and its design, and started manufacturing the loom and the bulletproof vests. Szczepanik claimed credit for the vest in Europe and had tried to get Father Zeglen to transfer patent rights to him. Father Zeglen refused, claiming it is a gift from God. 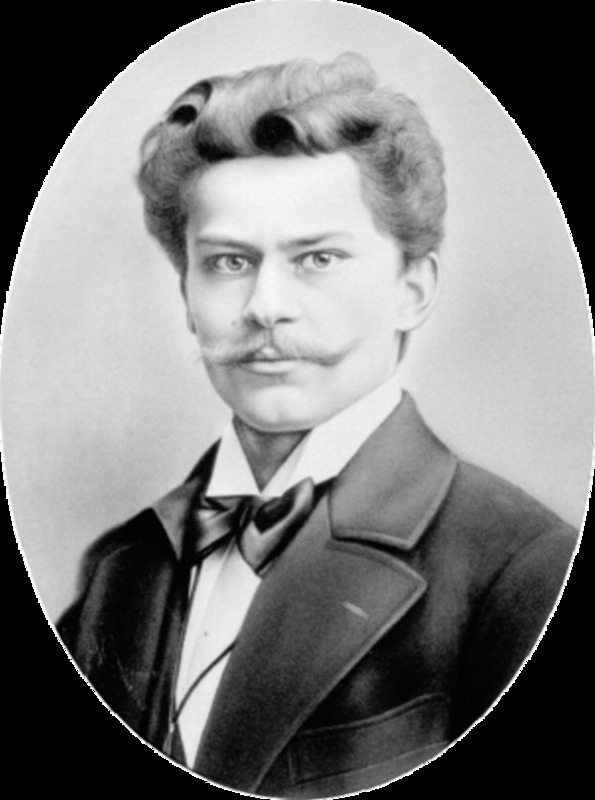 Szczepanik did not pressure further, but simply pretended to be its inventor in Europe, where Zeglen did not challenge this perception. Szczepanik sold several of these vests to European Royalties. Even today, esp. in Poland and Eastern Europe, Szczepanik was credited as the sole inventor of bulletproof vest. In 1901, with several successful tests under his belt, Father Zeglen offered a vest to then President McKinley, but was politely turned down by McKinley's personal secretary. Two weeks later, McKinley was assassinated. When Father Zeglen offered a vest to President Theodore Roosevelt, the offer was quickly accepted. By 1902, Father Zeglen had created several versions of the armor material, from a simple muiti-layer fabric (best worn on a person as a vest), to more complicated metal / silk composite material that is heavier, but also rifle proof. However, military and everybody else is skeptical of his claims. Prior efforts to create ballistic armor resulted in 40 pound monstrocities that made it almost impossible for the wearer to move. A special test was scheduled in October 1902 in Chicago's Montauk Theater, where Dr. Ashley A. Webber, then one of the best-known marksmen, will conduct a test using all sorts of weapons, including a .44 caliber revolver. In fact, C. W. Ryder, who sponsored the ballistic armor material, offered $500 reward if Dr. Webber was able to penetrate the material. On the day of the test, everybody held their breath when Father Zeglen showed up and wore the vest himself, with Dr. Webber a mere seven paces away, .44 caliber revolver (then the largest available) in hand. There was a loud bang, and Father Zeglen took a step back, but very much alive. The bullet did NOT penetrate. This vest is extremely light, at only a few pounds, compared to previous armors. It is proof against all handguns and submachine guns of of the time. The press quickly dubbed this "bulletproof vest". The vest was extremely expensive, costing $800 in 1914, even the machine made version. However, European royalties bought them in fear of anarchist assassinations. In fact, Archduke Ferdinand, whose assassination sparked World War I, was wearing such a vest. However, he was shot in the neck above the vest's coverage. 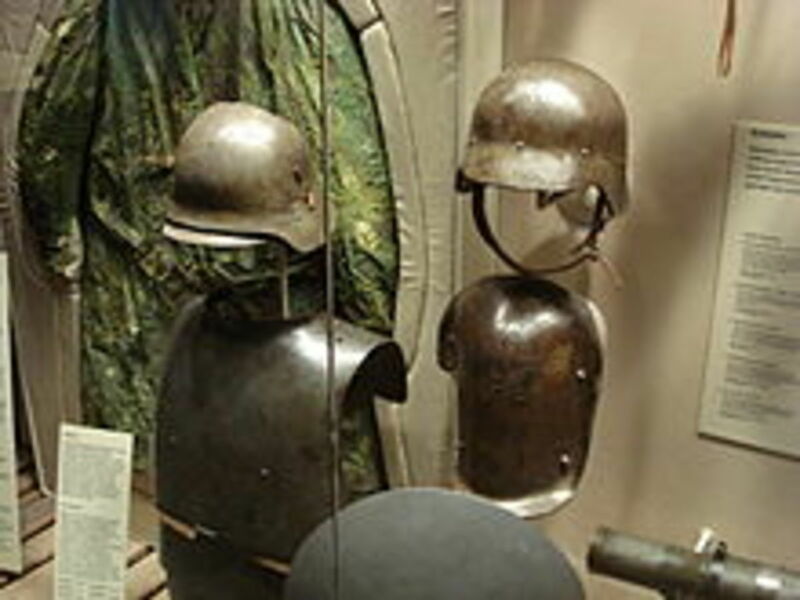 Helmets was not always considered an important component of a soldier's protection package. 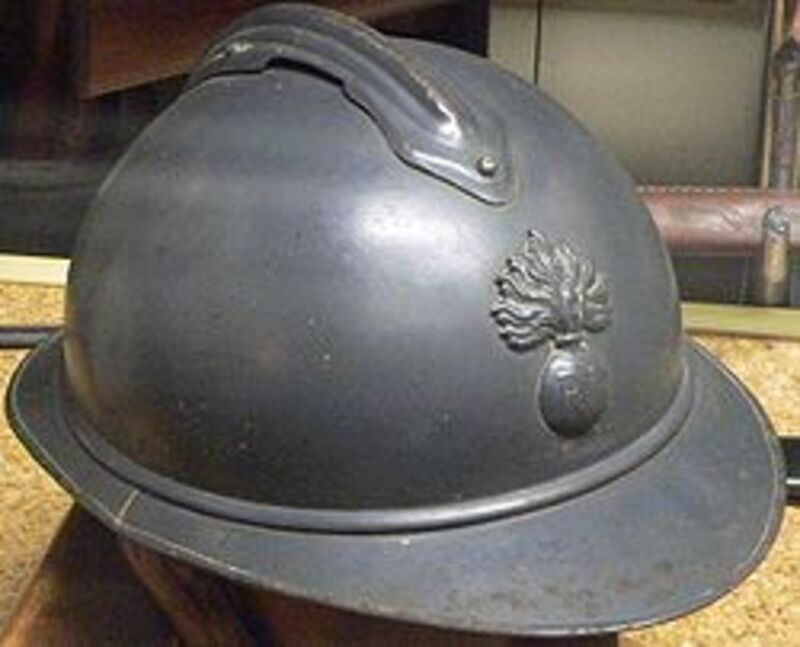 In fact, when World War I started, many generals considered helmets to be mark of cowardice. As a result, no army fielded helmets. 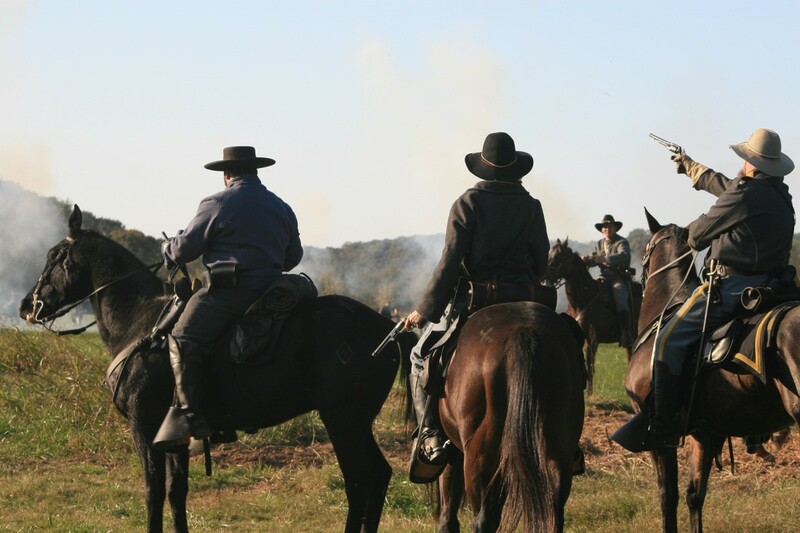 Fortunately, saner minds prevailed as casualty figures mounted, mostly due to head wounds. French was the first to deploy metallic skullcaps worn under a regular hat, though by 1915 "Adrian Helmets" was deployed. The British army also saw a need for helmets, and decided that artillery shrapnel is the threat they should design against, so the Brodie helmet was fielded. It has a "soup bowl" shape with a wide brim to protect the shoulders from shrapnel raining from above. The Brodie helmet was fielded by 1916, and was also worn by US forces when they entered the war. 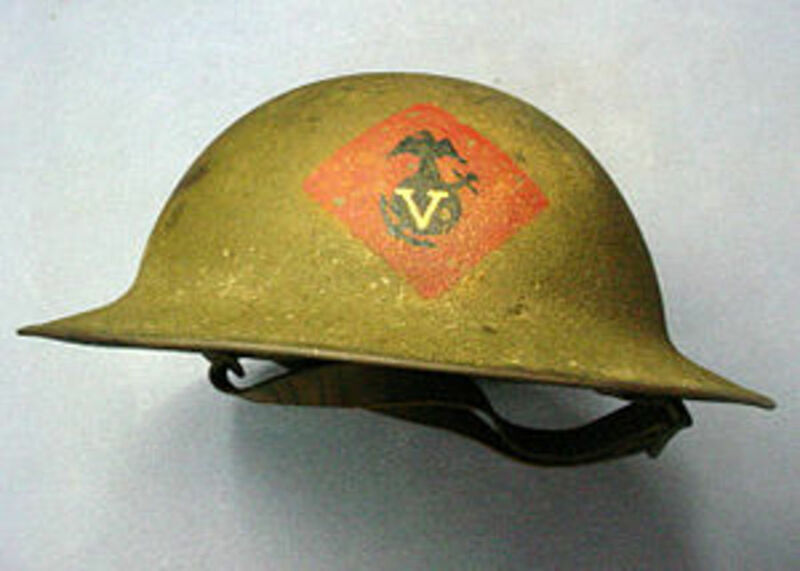 The Brodie helmet was very easy to produce, being a single piece design that can be formed by a press. The German army, in the meanwhile, went in a somewhat different direction. 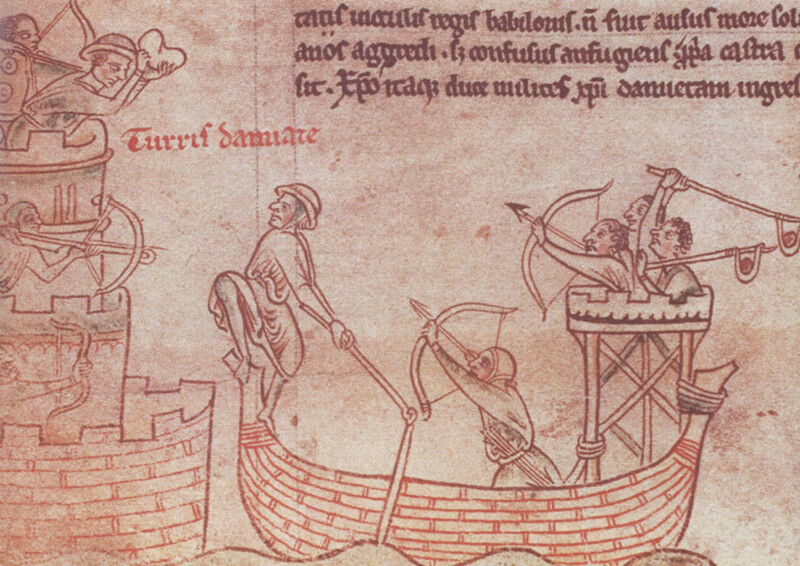 Their "Stahlhelm" (literally: steel helmet) was based on a medieval helmet design called the "sallet" which covers the back of the head (but not the shoulders) without restricting forward vision. However, it is much harder to manufacture than the British Brodie helmet, and it also covered the ears, making some soldiers complain about not able to hear the outside. Later versions improved the padding, but otherwise no major changes. TRIVIA: Darth Vader's helmet is an exaggerated version of the German Stahlhelm. Father Zeglen's body vests and other armor material was not used in World War I as they are extremely expensive, and only issued to a few special elite troops and VIPs. German army before World War I tested some special armor for assault troops (see above), but found them to be extremely unwieldy. They are almost machine gun proof, but this also made the troops wearing them impossible to get out of trenches to do their job, namely, assault the enemy. After the war, the vests was used by the Mafia, other gangs, and bootleggers (liquor smugglers) during the Prohibition era, many of them are armed to fight the police at the time. Later tests by Father Zeglen, who tested improvements to the vest for the next 20 years, showed that there are limits to his design. For the "popular" vest design, it will defeat any bullet travelling at less than 1000 ft/sec muzzle velocity. By 1929, the .38 Super from Colt just edged over that limit at 1050, and tests shows this bullet will sometimes penetrate the vest material. A few years later (1934), Smith and Wesson developed the .357 Magnum for FBI and law enforcement. 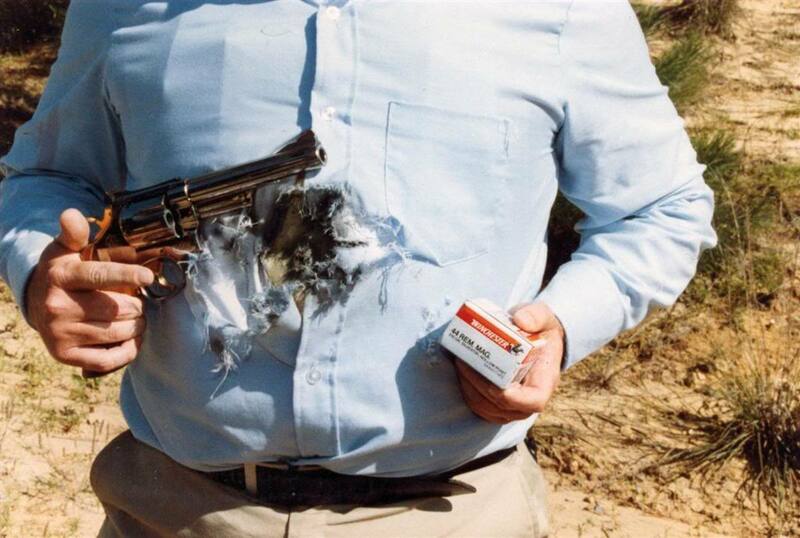 The .357 Magnum bullet will penetrate the vest. it was even marketed as "taking the proof out of bulletproof". 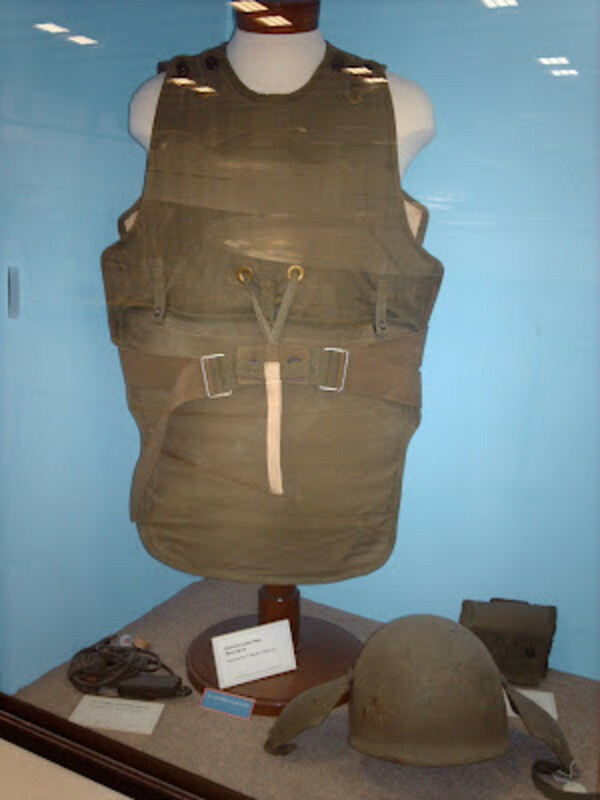 Body armor in World War II was not very popular as all sides worked more on improving the weapons they have, such as planes, tanks, cannons, and so on. Refinement of personal armor was considered a low priority. The technology just isn't there to reduce the weight and still offer good protection. 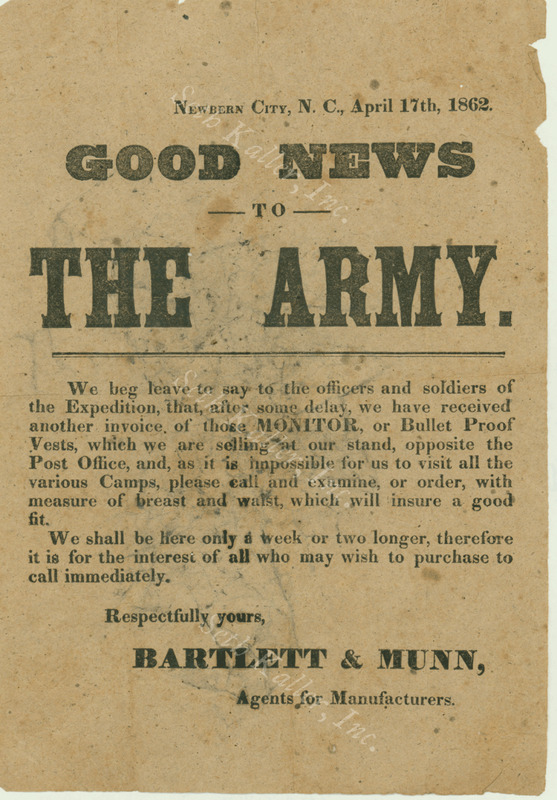 Most armies still march on foot and heavy armor just was not practical to issue to common troops, who also need to carry food, ammo, clothing, and other more "essential" warfighting supplies. When the tide has turned against the Axis powers and large scale bombing raids over Europe are organized by US Army Air Force and British Army Air Force in 1942, casualties for the bomber crews mounted, mainly due to anti-air artillery known as "flak". Bomber crews don't need to carry warfighting supplies, so decision was made to issue them "flak jackets". In a strange twist of history, the flak jacket was actually invented by a Brit, Colonel Malcolm Grow, chief surgeon of the British Army Air Force. He had observed that many of the casualties among the bomber crew that was conducting raid over Europe was caused by "flak", or anti-aircraft artillery, which produced a lot of low-velocity projectiles. (A later study by US Army Air Corp puts the figure at 70% of all reported wounds) He believed that such casualties may have been avoided with some personal protection, and he designed one such armor in 1942-43. Unfortunately, not being a flier, his armor was actually too bulky to be used within the British bomber, the Avro Lancaster. 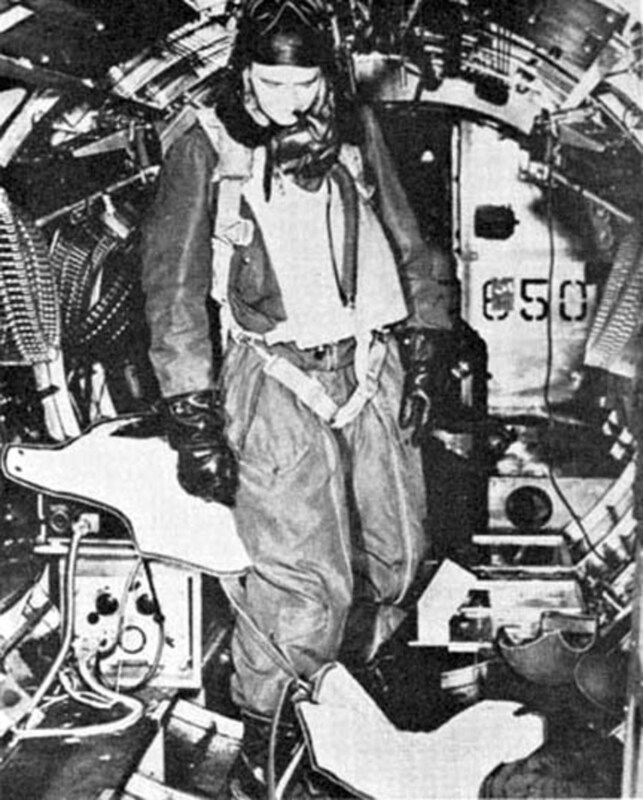 The Brits pitched the personal armor idea to the American Army Air Force, who was flying the larger American bombers such as the B-17, and it was quickly adopted. The first flak jacket weighed 22 pounds, and was a real pain to put on, but it offered a lot of protection for someone who don't need to move much, such as turret gunners in the bombers. They are basically regular jackets with ballistic plates made of steel sown in front and back, with additional pieces covering the buttocks and groin area. Due to their weight, flak jackets only issued to soldiers who would not be doing long marches, such as bomber crew and navy personnel serving aboard aircraft carriers (which is not really armored and is expected to get hit by bombs and more). Flak jacket was specifically designed to resist shrapnel, which are relatively low velocity, not bullets. They do offer some protection against lighter handguns. Dow Chemical company was working on a variety of projects during the war, and they came up with this special glass fiber laminate material which is light yet exceptionally strong. Army personnel chose to name the project "Doron Project" after their boss, Army Quartermaster George Doriot, and the special material became known as Doron. This material is non-metallic and was great for war production as it doesn't affect the war production. However, it does not offer much protection against bullets, only low-speed shrapnel. Many flak jackets were updated to use Doron plates instead of metal plates, reducing their weight somewhat. In the 1950s and 1960s technology advanced, and the newer forms of nylon and other artificial fibers shows signs of improvement in weight reduction. However, their ballistic protection suffered as a result. The design itself haven't changed much: nylon outer skin with metallic or composite inserts made of Doron or metal / non-metal composites. A breakthrough came in 1967, and Natick Laboratories (part of US Army) created the first ceramic inserts for the vests. Nicknamed "chicken plates" (apparently, if you wear them, you must be "chicken" or not brave), they were not that popular. Most soldiers who went to Vietnam with them actually sat on them in the helicopter to let it protect against shots fired from below instead of wearing them. However, these plates do stop rifle bullets at acceptable weight. Large number of them were issued to helicopter crew who are expected to fly into enemy fire day in and day out. The development of Kevlar and its use in 1970s to create body armor helped army to make personal armor possible for most soldiers. However, a body armor system was not fielded until the 1980's. In 1969, American Body Armor was founded to create body armor for law enforcement, and their first product, trademarked as "Barrier Vest", was a success and widely adopted by law enforcement agencies. Other makers started marketing body armor as well, leading the newly formed National Institute of Justice to launch a study to develop accurate non-partial way to evaluate the protection level of such body armor. In the 1970s, Kevlar, developed by DuPont back in 1965 became a new fiber of choice. Originally designed to be an alternative to steel fibers used in tires, Kevlar was found to have such strength that people started to design ballistic body armor based on this wonder fiber. The first popular armor featuring Kevlar was the K-15, launched in 1975, featuring 15-layers of Kevlar weave backed by a ballistic steel "shok plate" (tm) over the heart for maximum protection, and was awarded a patent. In 1976, Richard Davis founded Second Chance Body Armor. He claims to have been inspired by a robbery where he had a gunfight against 3 notorious robbers. His all-Kevlar design, the Model Y, was light enough to be worn concealed under clothing for daily use by police officers and civilians. 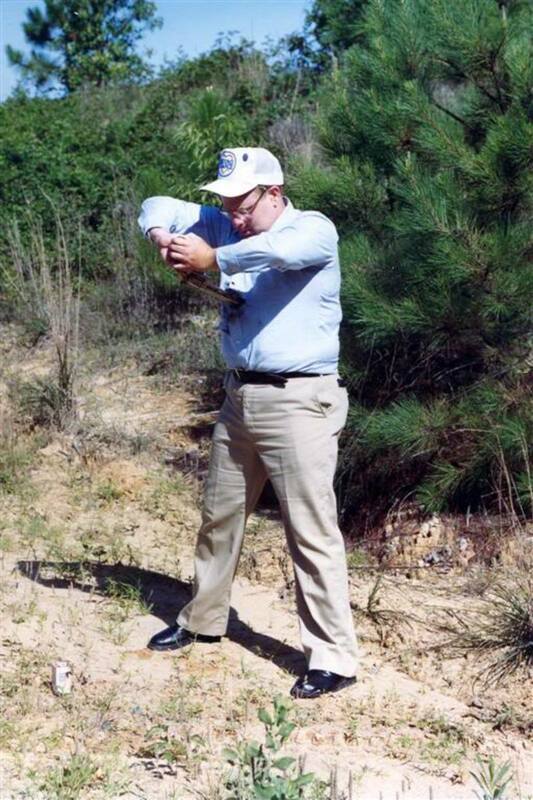 This was also widely adopted, and the company had an excellent marketing campaign where the owner fired a round into his stomach (while wearing a vest), then immediately turned around and engaged several targets on a shooting range. in 2006, Second Chance Body Armor was merged into Armor Holdings, which was formerly known as American Body Armor, the first people in the US to make civilian body armor back in 1969. DuPont, maker of Kevlar (tm), have a Kevlar Survivor's Club where anybody who had been documented as 'saved by Kevlar product' are welcomed to join. They are up to 3000th member back in 2006, so it's expected they've added quite a few since then. US Army in 1980s adopted the PASGT armor and helmet, both of which are made out of Kevlar. However, PASGT is only officially rated "Level I" (see protection level ratings below). Anecdotally the armor had been rated higher, but such tests were never proven. It was designed as fragmentation and shrapnel armor only. US Army also fielded an improved armor commonly known as Ranger Body Armor (only issued to 75th Ranger Regiment) but that didn't offer enough all around protection. The "Black Hawk Down" incident demonstrated the need for all around protection when several Rangers were injured from being shot in the rear. 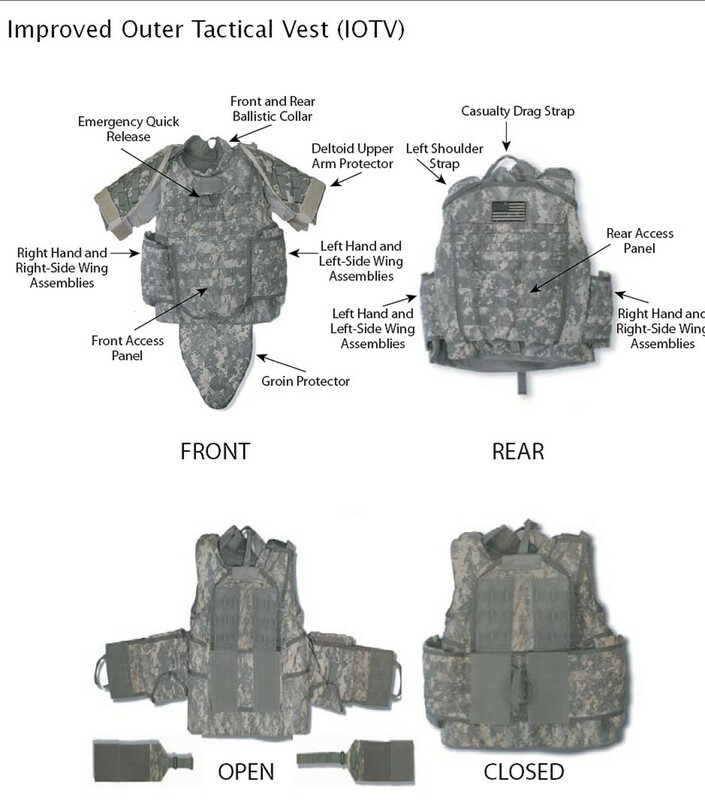 In 2004-2005 US Army phased out the PASGT (and Ranger Body Armor) and replaced with Interceptor Body Armor, which is rated "Level III" (see protection levels below), able to stop rifle bullets, while about 5 pounds lighter than the Ranger and PASGT body armor. However, with addition of side plates, collar, and groin plates, the overall weight has actually crept up, not down. Newer materials such as Spectra, Zylon, and other fibers claim to outperform Kevlar. However, they are also much more expensive and offers different trade-offs. Zylon, for example, is found to be not weather resistant, and when exposed to the elements, quickly degrades, leading to a major recall and warning from the NIJ to all police departments to immediately stop using ANY Zylon based vests. The most interesting modern design is Dragon Skin, which is a remix of old idea and new design. 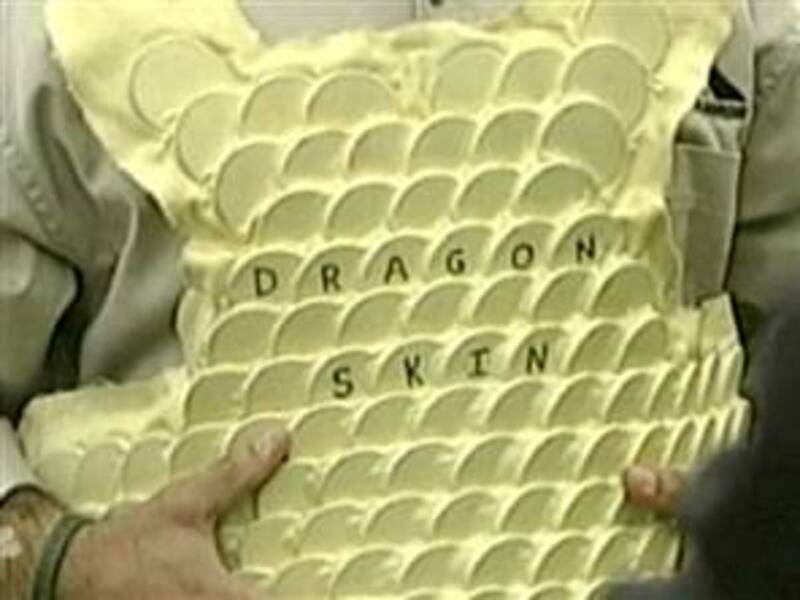 Dragon Skin body armor is composed to ceramic discs of secret formulation, laid in overlapping patterns within the carrier shell made of Kevlar. In test after test, Dragon Skin was able to withstand rifle rounds, pistol rounds, even a point-blank grenade explosion (which, as expected, ruined the vest, but no penetration occurred). Its maker claims to have even tougher ratings (allegedly "level V" which doesn't actually exist) available. However, US Army has not fielded this armor yet, as it seems to have encountered some reliability issues for field use. Details have not been forthcoming. Latest generation of materials and nano technology promises even better material in the future. Spider silk is even tougher than regular silk and if it can be produced on a massive scale, plus nano-construction of composite material, new body armor will be lighter and stronger than ever. Scientists recently have genetically modified silkworms to generate a special mix of regular silk and spider silk. The road ahead looks promising. Other developments such as "shear hardening liquid" (flexible under normal wear, but hardens when hit), magnetorheological fluid (liquid under normal conditions, but magnetic field turns it stiff), as well as "nano-tubes" promises interesting composites that promises high strength and low weight inserts for ballistic vests. Personal armor, in addition to being bullet resistant, may also be needed to protect against other things, such as explosions and stabbings. 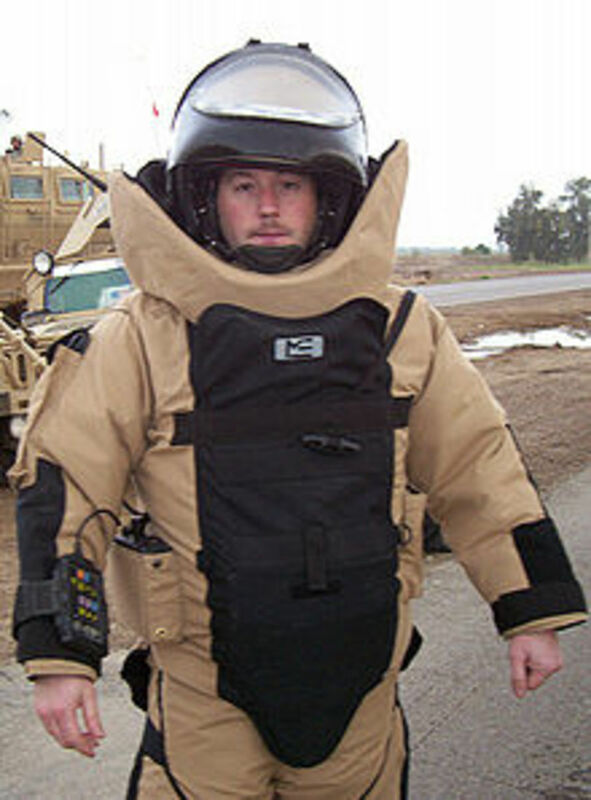 Bomb disposal officers wear huge bomb suits, which were made famous in the movie "The Hurt Locker". Those are designed to protect against bomb shrapnel, but when the explosion is big enough, your insides are just pulverized by the shockwave. With modern robots available to do most of the work, bomb suits are reserved for only the worst circumstances. In the 1980s California department of corrections created the "ice pick" penetration test, which is actually done with an ice pick dropped with proper weight, on body armor. The British police created their own HOSDB standard test. Normal ballistic vests are NOT very resistant against knives stabs. European police forces requested development of "stab vests" as handguns are much harder to get in European countries. New metal lattice (i.e. modern "chain mail") and composite plate are created to meet these needs to create personal armor that can meet multiple threats. Body armor development have kept pace with firearms development, albeit with a couple hiccups. Current state of the art in ballistic body armor will stop a handgun, but to protect against rifle-fire or heavy handgun you need ceramic, metallic, or composite inserts, which adds weight (several pounds each). Advances in more exotic materials promise to cut that weight down, with hopes of protecting against multiple types of threats, including stabs and explosions. I hope you have learned something about the history of personal body armor. If you enjoyed this, also check out my primer on personal firearms, the other side of the equation. Want to learn some fascinating facts about Steve Jobs? Such as his 3 daughters and 2 sons? How he's a Buddhist? Or he cheated Wozniak out of over 2000 dollars? Find out more here. Do you know that Congressional medal of Distinction is NOT issued by Congress, nor is it merit-based? Find out more here. Congressional Medal of Honor (CMOH): now a (mostly) posthumous award... Why? Are you aware that a soldier's chance of earning Congressional Medal of Honor now is 1/5th that of soldiers in Vietnam? And you really need to be dead to earn one now? Find out more. On September 1, 2004, a group of terrorists took over 1000 hostages in Beslan, North Ossetia, Russia. 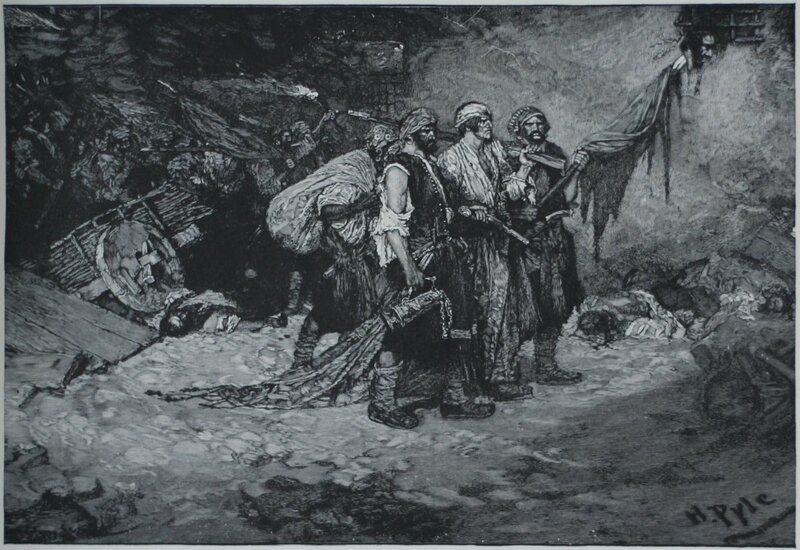 By the end of the siege, over 300 died. Find out what happened here.